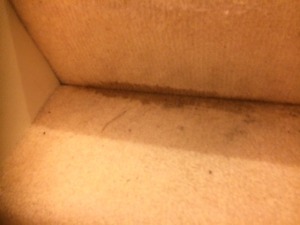 On most carpet cleaning jobs that we undertake there will be a stain that the customer wants removing. Unfortunately on most occasions the customer has already had an attempt at removing the stain. It’s understandable that you would want to try and clear up after an accident to your carpet but its how you do it that’s important. We’ve covered in many previous blogs the importance of not grabbing something from under the sink or using stain removers that you’ve seen advertised . Most of these products will contain some bleaching agents so that they seem to work but the reality is that they mostly only remove part of the stain and the bleaching agent then goes on to cause permanent damage to the carpet. 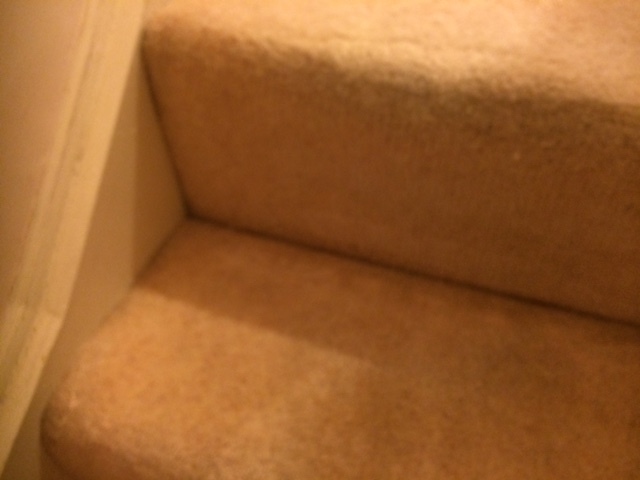 Our existing customers will know that at the end of us cleaning your carpets The Rutland Cleaning Company will give you a professional spotting spray to deal with stains without causing any damage to your carpets. The photos above show a stain from the spillage of Soy sauce where no effort was made to remove the stain. As a result we were able to use our specialist spotters to totally remove the stain, something its unlikely we could have done had efforts been made to remove the stain with a stain remover.